Project was to make two players word game to Playforia. We already had dictionaries that were used in very old Wordgame ("Sanapeli" in Aapeli) so that part was covered. This was interesting project in that sense that this was first time when I was making server for a game where one game session may last weeks or even months. Previously all the multiplayer games have been type that they were started and finished during the same session. If any player quited, he/she lost, and if everyone quited, game ended. But in this game players can come and go as they want and play their own turns whenever they want. Also one player may have multiple games running at the same time. Both server and client were done using Java. This was one of the last projects where client was also done using Java applet. 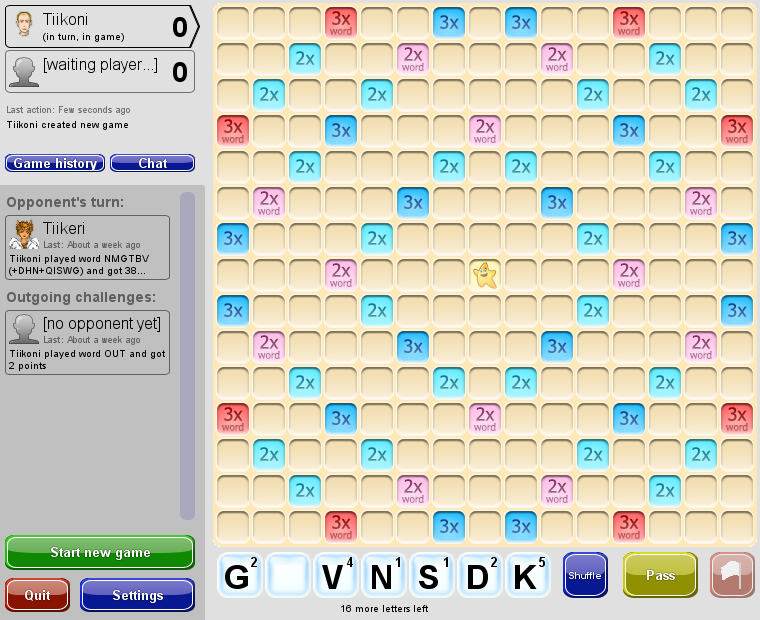 Making the game started at March 2011. Few weeks later there was some initial functionality and server that didn't save games yet but kept them running. No graphics, just my own glossy buttons from previous games and the MS Paint board. My test players all have same name, just separated by number. You can click the picture to view it in full size. Running game few weeks later, there was already some settings and sounds. Games list was scrollable and player was able to view currently selected game history. Player faces are random user faces from Playforia often used for testing. Server saved the games, even though at this point finished games were lingering in game list forever. Beginning of May. Not much have changed in client. Other people were making graphics so I focused on server. 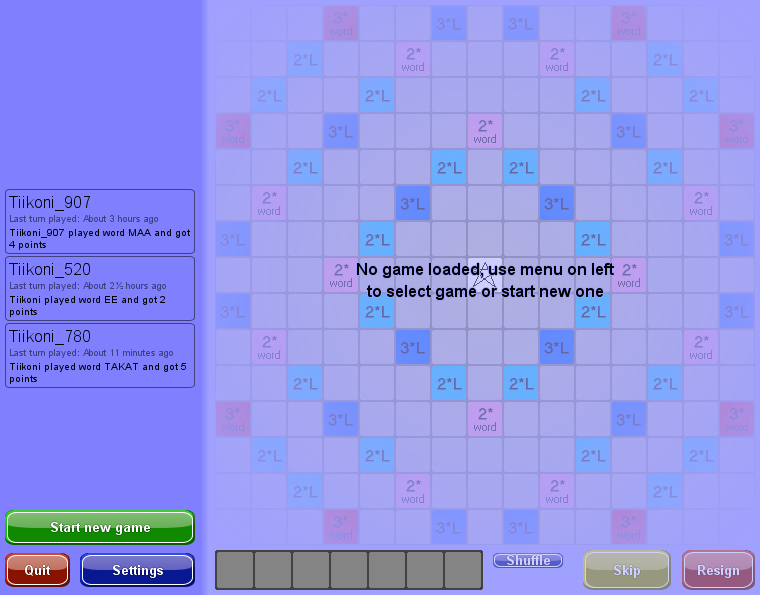 Simulating how it handle thousands of games and thousands of simultaneous players. Dummy clients that did connections to server were used to test this. Those clients also sent random invalid commands to test they are correctly ignored. I also made pile of fail-safes to make sure no game data will get lost in case of problems. Like when losing database connection, file writing to disc fails or server is forced to shut down. I'm such nerd that this is always one of my favorite parts, I like to make programs so that they work correctly in every situation. Game client was included to Playforia test site and real players from our office were already testing the game. Basically this was first fully functional game, even though ugly yet. 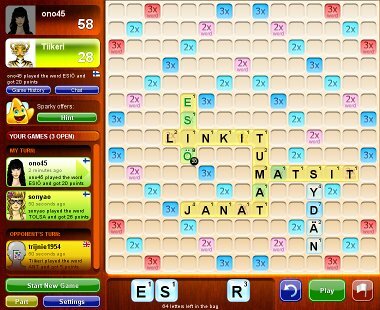 There was translation process going on also, so game have mixed English and Finnish in this screenshot. First version was published at May to Aapeli and Playforia. 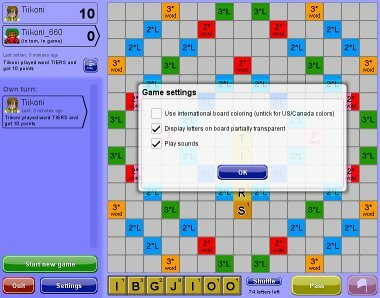 We usually publish games to all our Playforia countries, but this game was exception because we didn't have dictionaries for all our languages. 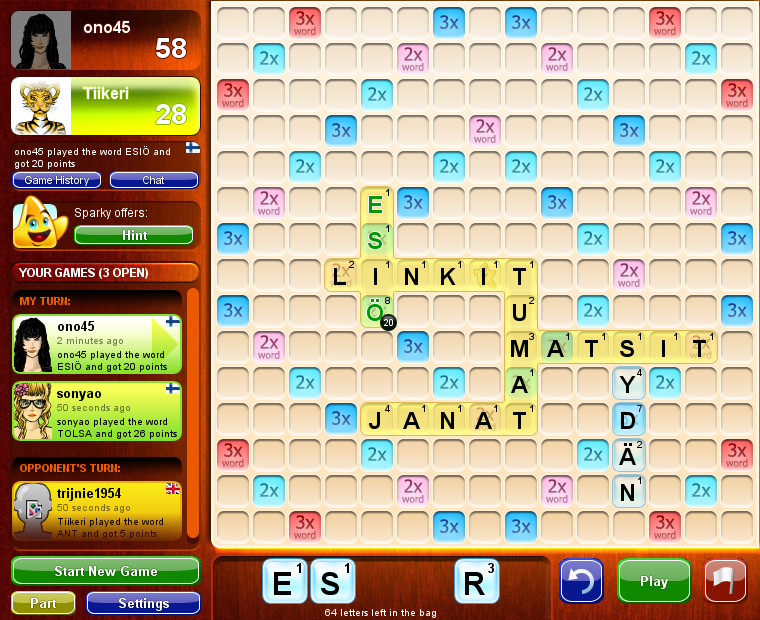 Screenshot is from game where client is in English but used dictionary for the words is Finnish. Also note that game looks much nicer when included to our game page layout with correct background colors etc. This picture is applet area only. Game was well liked, at peak times there was over 100 thousand open games and several thousand players online at the same time. At August 2013 it was still one of the most popular games on our site. 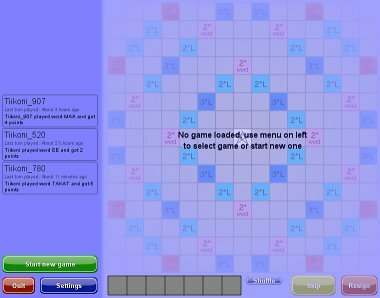 Much later we also made single player version of Wordz to Facebook: Wordz IQ Client of that game is made by other people in Playforia company, using Flash. Server is still using Java and is partially based on Wordz server.